Kate Gordon accompanies her father on a quest for a sunken Spanish galleon that contains a treasure beyond price--a mysterious drinking horn which legend states may have been responsible for Merlin's death. Now, to save her father's life, Kate must enter an undersea world of bizarre creatures and terrifying foes, and succeed where Merlin failed. T.A. 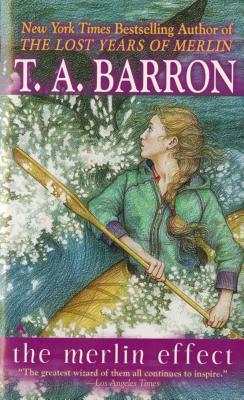 Barron is the award-winning author of fantasy novels such as The Lost Years of Merlin epic soon to be a major motion picture. He serves on a variety of environmental and educational boards including The Nature Conservancy and The Land and Water Fund of the Rockies, and is the founder of a national award for heroic children. Following a life-changing decision to leave a successful business career to write full-time in 1990, Barron has written seventeen books, but is happiest when on the mountain trails with his wife, Currie, and their five children. "